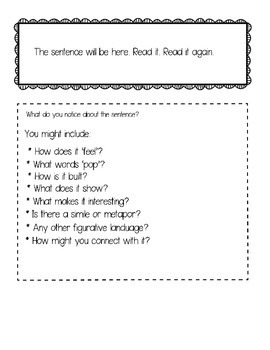 These interactive notebook pages bring a taste of mentor sentences to your upper elementary or early middle school classroom! 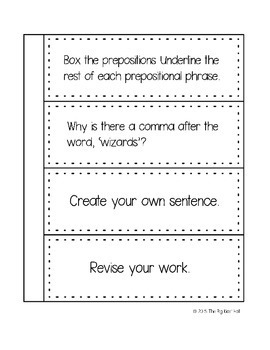 Each set offers practice in grammar, conventions, and/or literary devices along with a sentence scaffold for students to compose a similar sentence on their own. 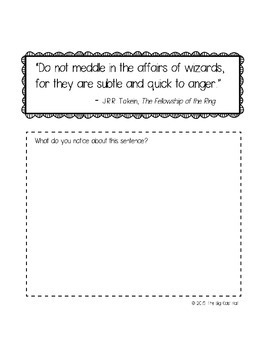 One quote each from Tolkein, Rowling, and the Tenth Doctor are offered. Ready to dive in? 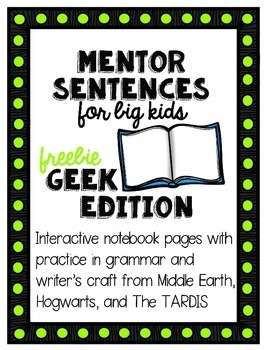 The next nine weeks of Mentor Sentences for Big Kids is available HERE.